The San Pedro Cactus is absolutely gorgeous. We have one plant purchased from a succulent greenhouse off Hwy 92 and it’s a pride of our kitchen patio. I’ve seen pictures of these flowering and can’t wait for our San Pedro to flower, though it may take 10-15 years. No one ever said that we were averse to long term projects. 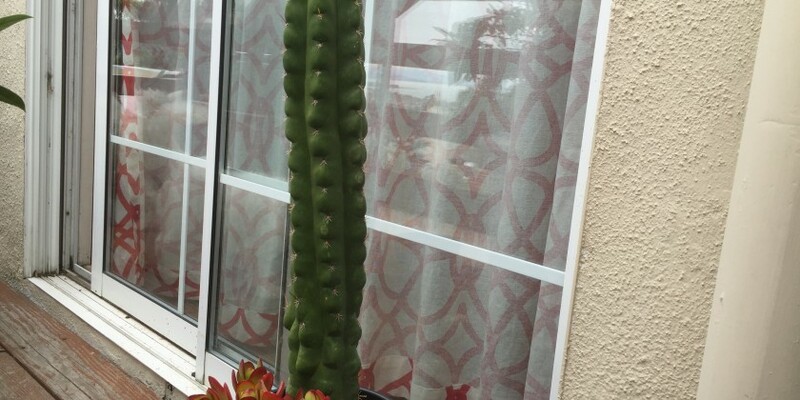 I purchased 100 San Pedro Cactus Seeds from World Seed Supply. As an indoor green house, two similar sized clear bins are nested with holes drilled into the inner bin for drainage. 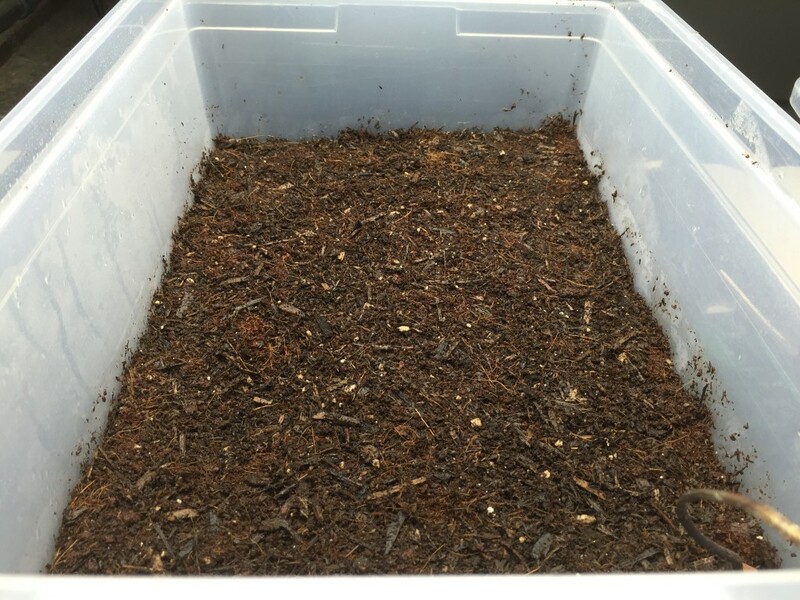 The grow medium is a 50/50 mixture of Coco Coir and Potting Mix. Seeds were sprinkled on top and lightly misted with water. My temperature controller is set to maintain 75°f while the seeds germinate. Once the seeds germinate, the heat pad will be removed. The light is currently set to be always-on to give the seeds and eventual seedlings a bit more encouragement. 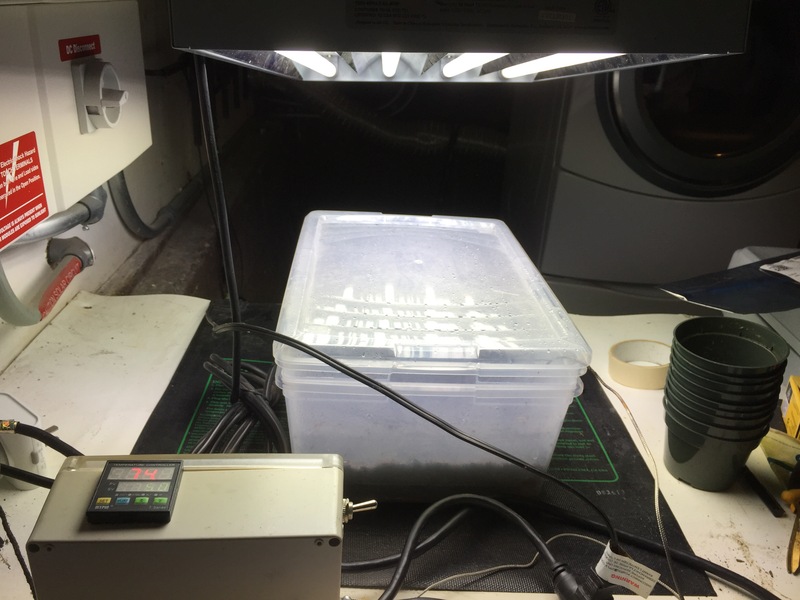 Day 1 (2016/05/13) – The San Pedro Cactus seeds have been sown. The temperature probe is on the right bottom corner of the box with the temperature set at 75°f. The lid will be kept on until the cacti begin to sprout and will aired out twice a day.